UPDATE: Here are some pictures taken in mid-Spring 2016 (a winter after these 2015 seedballs were thrown). 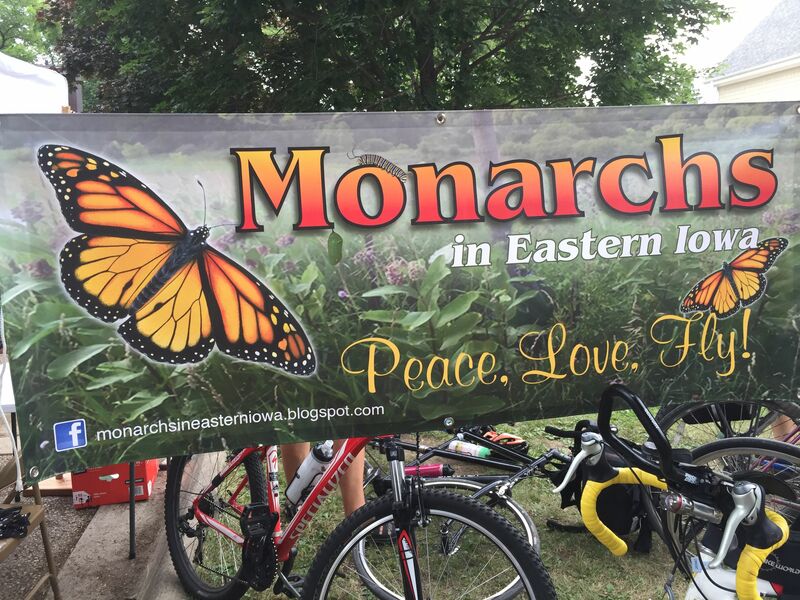 They were taken by Patty Ankrum of Monarchs in Eastern Iowa south of Lisbon, where RAGBRAI riders passed. You can see multiple stands of baby common milkweed, randomly dispersed along the roadside. WOW! What an incredible year 2015 was for Monarchs efforts. Conservation efforts around the country have exploded! Even our RAGBRAI efforts hit the big time! 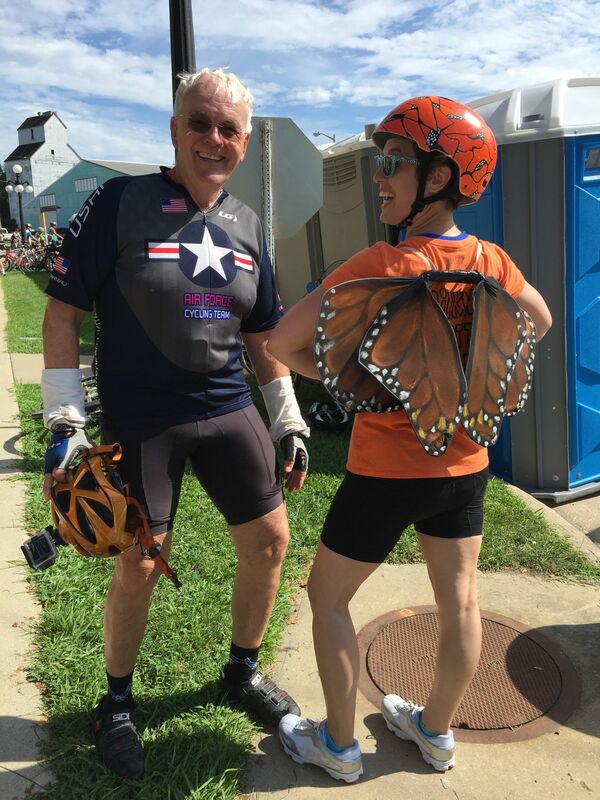 To start, we are a part of a very active Facebook group called “Monarchs in Eastern Iowa” that helped tremendously to spread seed during the ride! Based on last year’s experience, we realized the classic “seed balls” will be much more effective for throwing and distributing this year. 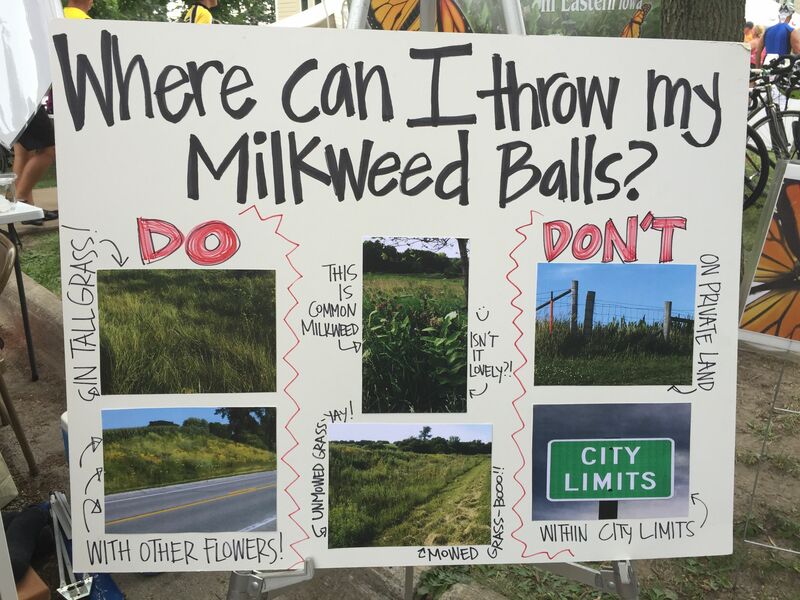 The MEI group really took charge in the making of 2,000 common milkweed seed balls, coordinating a booth in Mount Vernon, IA, where we distributed these balls to riders and educated them for over 6 hours! It’s safe to say it was a pretty magical day for the Monarchs!